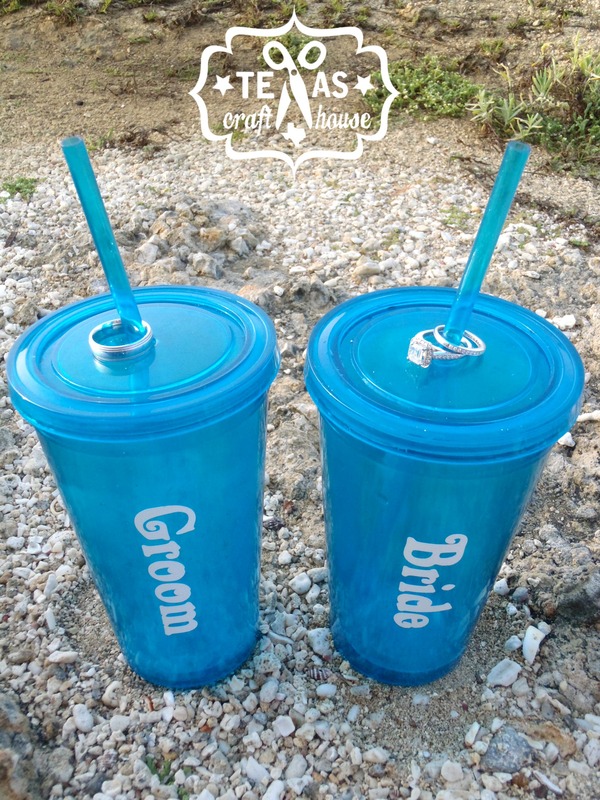 I ordered the mugs from discountmugs.com and had planned on having them create some kind of a logo for the tumblers, but while searching for logo ideas I found several photos where vinyl was used and knew this would be a more affordable option and a project for my cricut! 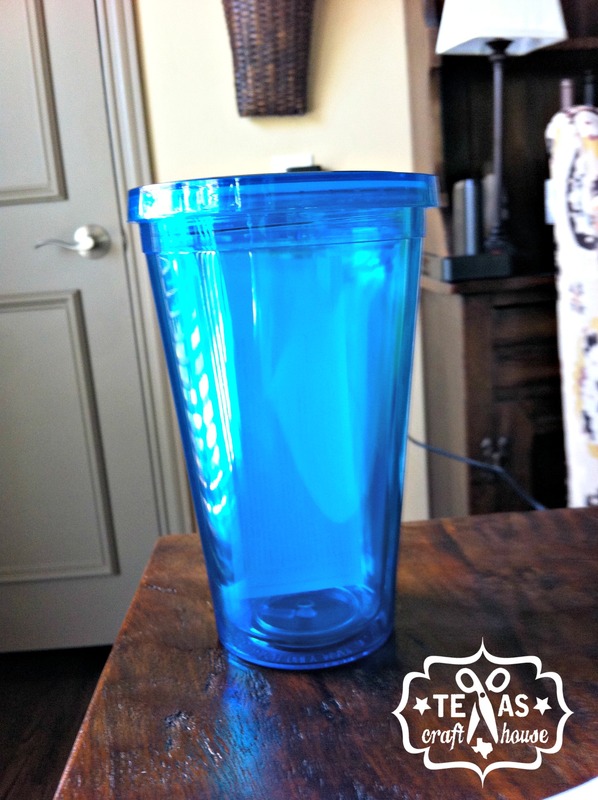 Here is a photo of the tumblers I bought. I got tumblers with lids to keep everything contained. 🙂 I did have several of the straw stoppers broken and all I had to do was call discountmugs.com, send them a photo and they sent me more straws. Definitely an awesome company! This project was so easy! 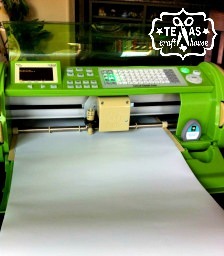 All that I had to do was attach the vinyl to the Cricut cutting mat and start inputting what I wanted my Cricut to cut out. The best part about vinyl is that it’s sticky just like a sticker and the water from your drink sweating, the ocean, the pool does not cause it to come off. 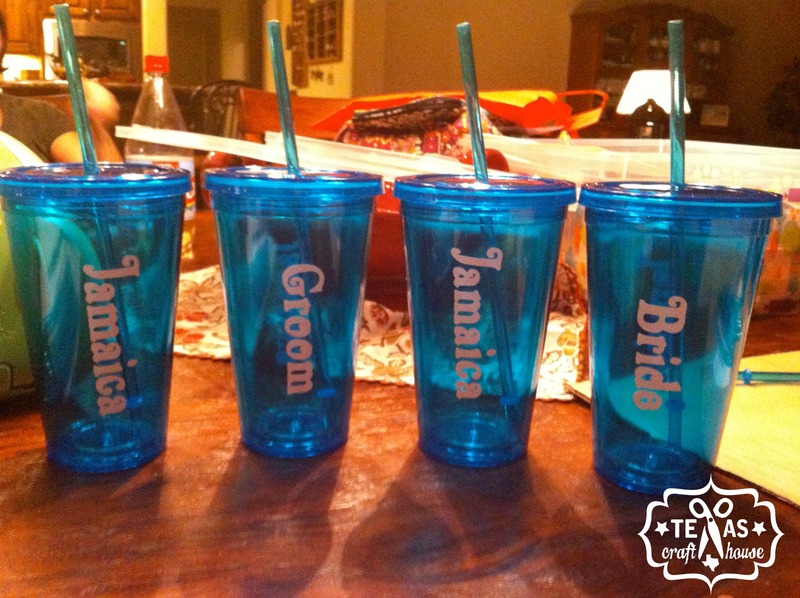 I decided on having ‘Jamaica’ on one side and the names of my guests on the opposite side. I eyeballed the location and made sure to keep a steady hand to keep the words straight. 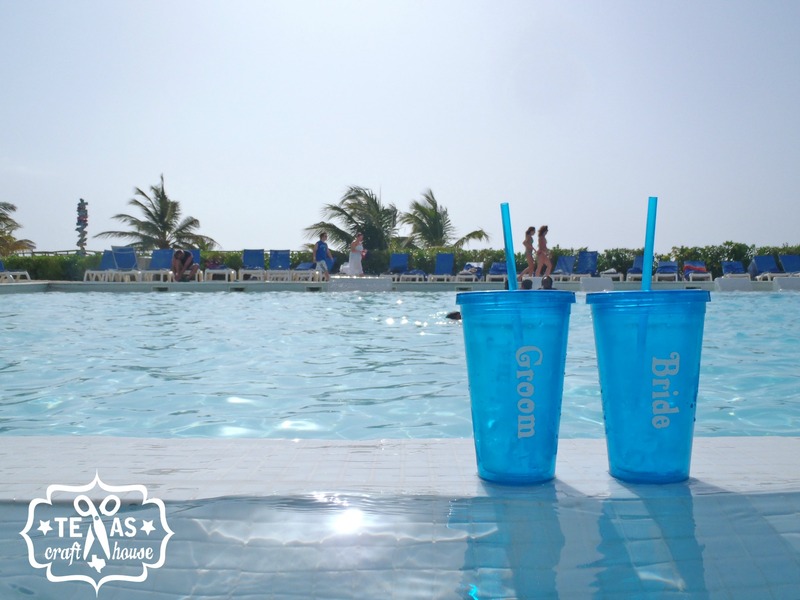 Here are our tumblers in Jamaica! I was trying to get creative with the different pictures I could take with our wedding rings. 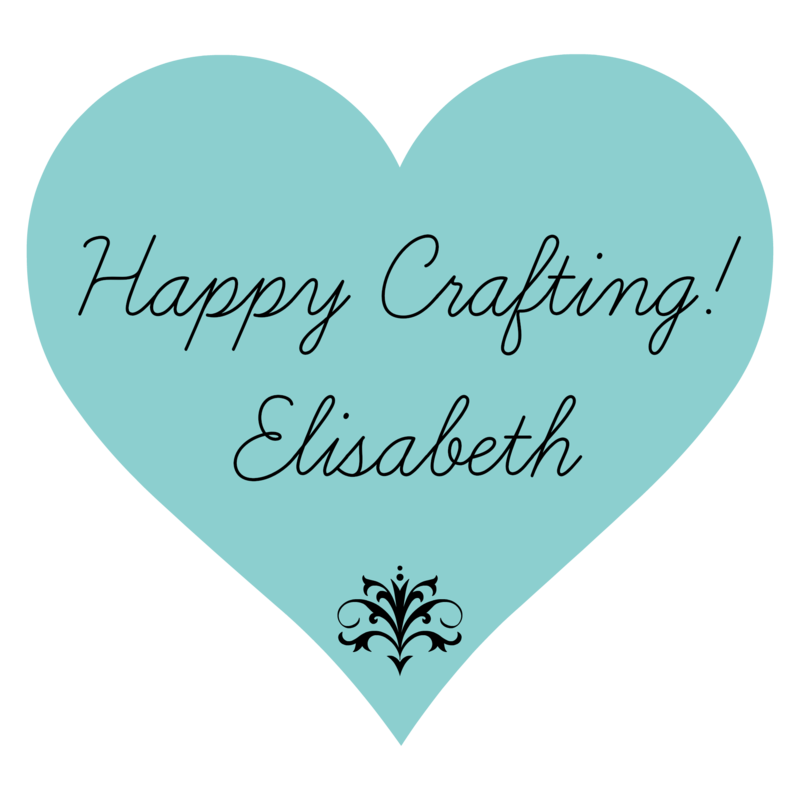 It would be so easy to cut out different colored circles and create a polka dotted tumbler. What designs would you do using vinyl?